We deliver the C2C Cube where you need it. 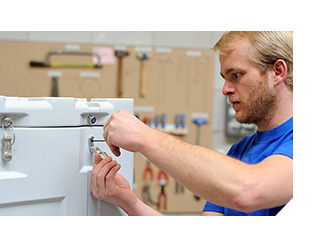 Our refurbishment program prepares your Cube for the next use. We clean, repair, modify and repack your Cube for being used again. A range of standard consumables facilitates multiple use and re-use of the Cubes. The C2C cube comes to life in a ISO class 5 cleanroom. After cleaning and final inspection the Cube is packed in a double PE liner. Upon choice the cube can be equipped with or without the universal inner cushioning concept. All accessories, inlays and fixtures are designed and produced to the highest cleaning standards. Nefab partners with a world-class cleaning company for grades 1, 2 and 4 (particles/Square decimetre) cleaning.We facilitate wet or dry cleaning, baking, RGA analysis and custom cleaning requirements. We offer a refurbishment service for the C2C cube. Send us your used cubes and we get them back to new with our well documented refurbishment program. 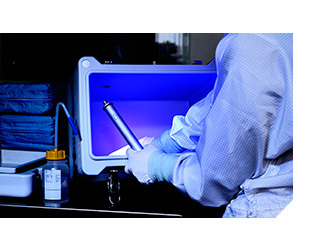 We repair, modify or renew your Cube and repack it so that it is ready again to be entered in the cleanroom. The refurbishing cycle also cleans the inner cushioning concept, the belts and the fitting (if present) and it includes a control of the fastening screws, air filter, label and RFID tag. 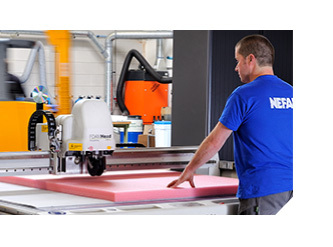 Nefab has a team of dedicated engineers who develop and design special inserts for the C2C Cube. Nefab offers custom fixtures, special cushioning (with or without the universal pillow concept) or thermoformed fittings to protect your products. A wide range of solutions and accessories is alre	ady available. Design testing and prototyping are done in-house. Present us your product and we will customize the C2C Cube around it. The C2C Cube and its custom inserts are designed, produced, tested and cleaned at the Nefab Engineering Center in the Netherlands. The C2C cube is our main product and the Eindhoven plant is focused on servicing the entire C2C Cube solution. 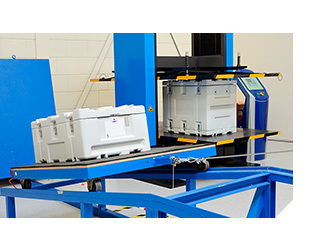 Climate chambers, 1.5 x 2.5 meter vibration tables, incline ramps and 1.5 x 2.5 meter compression testers are all available to test your products. The Cubes come in a range of 6 models and each is deliverable from stock. The Cubes are shipped in corrugated boxes and RFID identification enables to provide unique serial number upon shipment. 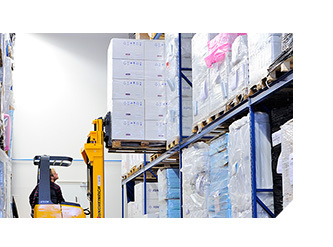 All consumables can be ordered separately and accessories are also part of our stock program.